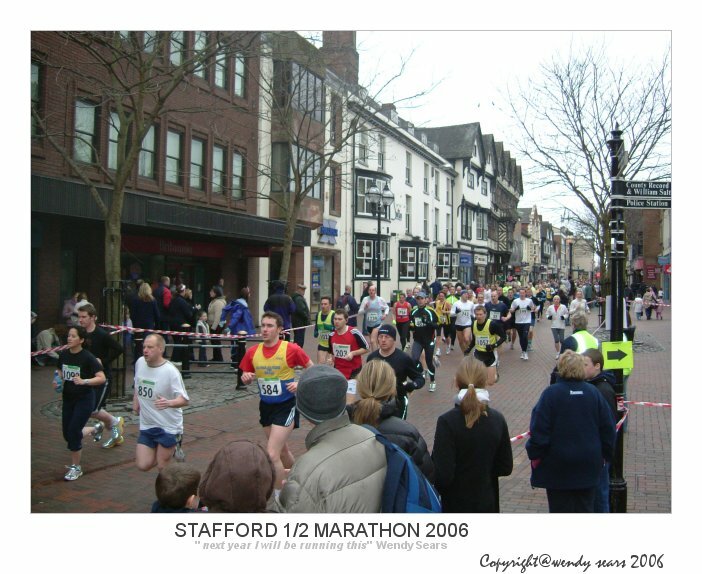 This is the 35 week training schedule Stafford Half Marathon March 2006, designed to assist in a minimum finishing time of 1:50:00. (8.2 minute mile.) Below is a record of my actual training, which hopefully will closely mirror the training schedule and enable me to exceed my 2005 completion time for the Stafford Half Marathon of 2 hours 5 minutes. For those seeking to follow this training regime, it assumes an ability to run a minimum of 6 miles at 9.30 minute mile pace or 10 miles plus at 10 minute pace. Additionally, all running is preceded by and followed by a warm up/down jog of at least 5 minutes, and a gentle stretch of 5 minutes. (You must always seek medical advice before commencing strenuous exercise.) Bear in mind that this is personalised to me, based on a lot of advice cobbled together from online sources. On a personal note, it is very difficult to get motivated to run at times. Despite the encouragement of colleagues and small target races as an added incentive, it is far easier to find excuses not to run than it is to find reasons to run. Add to this the aches and pains that can stem from pounding the streets, and the desire to run decreases. I speak from experience. 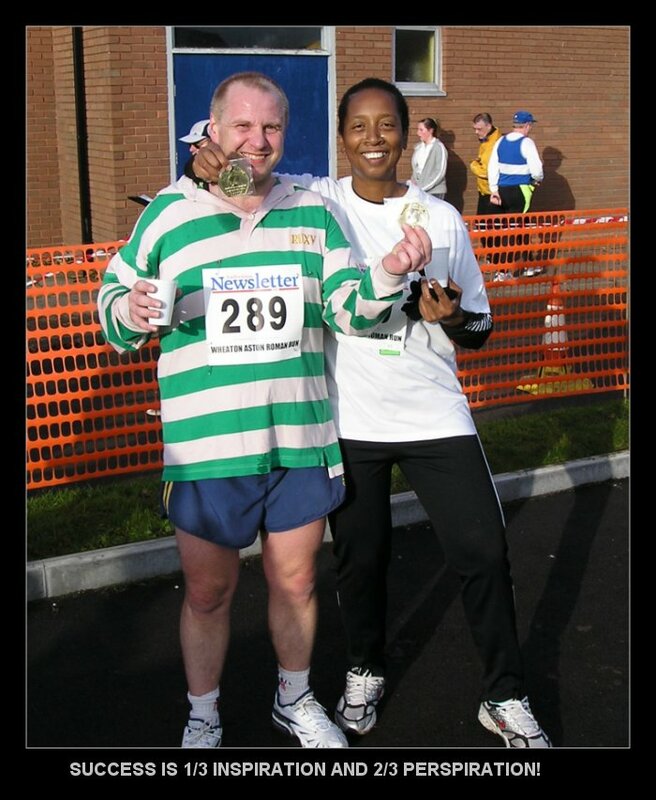 I have not run since the last Stafford Half Marathon, nearly 7 months ago! 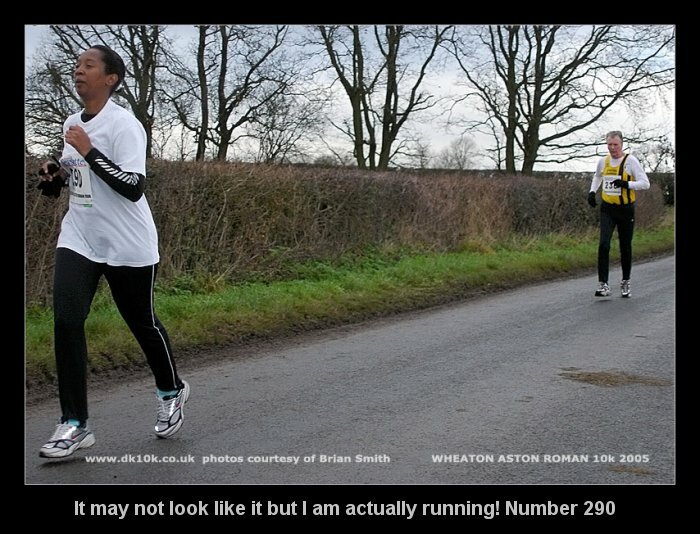 Before that the only race run in the last 12 months was the Wheaton Aston 10K race. 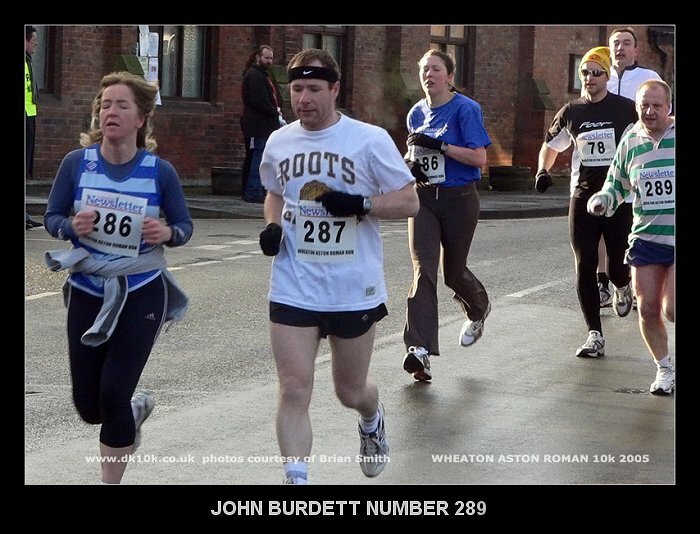 Evidence that I do actually run races!. So if you, like I, feel that way, then try going to the gym, or riding a bike or going swimming. Or even try joining a running club that takes a relaxed attitude to running! It may help. I certainly wish that I had taken my own advice last year! Comments: Running in Nike Air Pegasus running shoes that are about 2 years old. Have bought another differing style Nike Air pegasus shoes (full length climafit) which seem to result in pain to left little toe. May just need to run them in. Comments: Pain in right knee caused when it twisted getting into car. Only minor at the moment but painful. Comments: Pain in right knee eased slightly. Major cramp like pain on Thursday run, on right side of right foot. Run abandoned. Will change to other Pegasus trainers and try again later. Applying heat treatment to foot. Comments: I am ashamed to say that I was totally lazy. I used the cold, my foot pain and anything else I could think of as an excuse not to do any running. I have to get back to it. 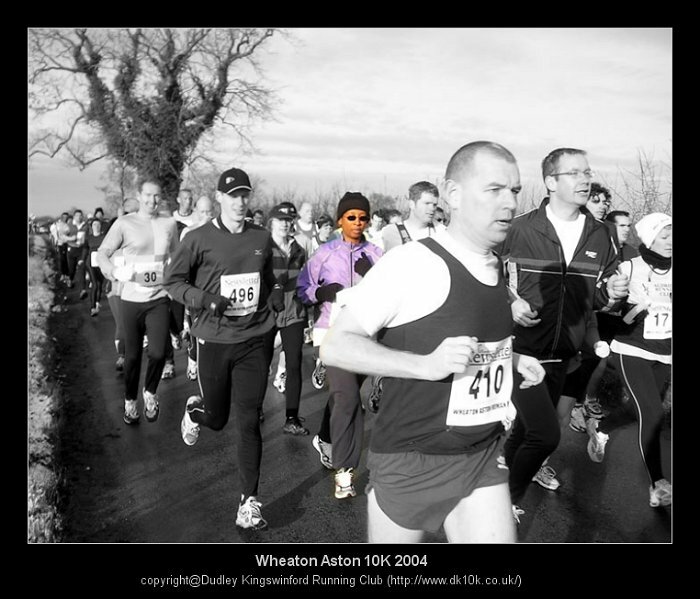 Weaton Ason 6 mile race is in two weeks. Comments: First run under 10 min mile this week. Have been advised that my trainers may be too small. Don't want to throw away good money after bad buying a new pair. Will play it by ear. Comments: The Friday run was the fastest that I have run so far. I have a 10K race on Tuesday so I have curtailed training. I am stocking up on carbs and readying my Lucozade Sport! I do have a pain in my right foot though. (1) Pain in the side of my right foot. No idea what is causing this but certain warm up routines aggravate this pain so naturally enough i will be avoiding those warm up routines. (2) A pain in this area - no idea what you'd call it medically. The tongue on my trainer, in conjunction with my thick socks seem to cause pressure here. It may even have something to do with the shin splints I sometimes get. Again not sure what to do. I need to get expert advice. I have to up the training now. I should be running between 25 - 35 miles per week for the next 14 weeks which will take me to the Stafford Half Marathon! 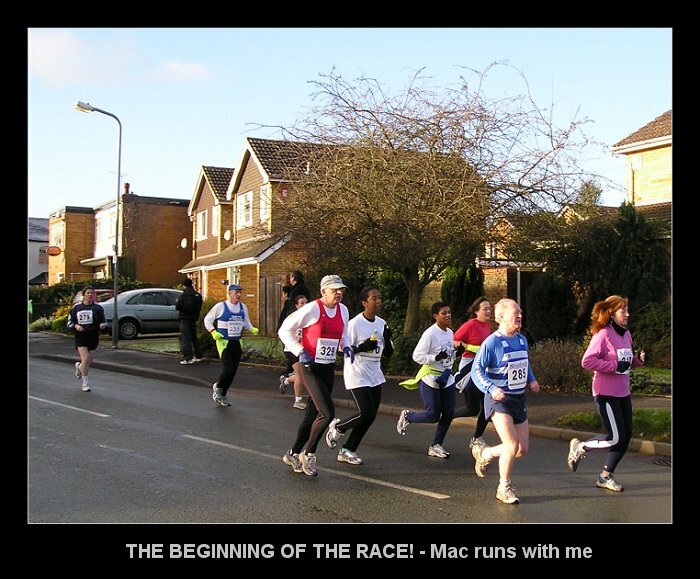 Comments: I put my application form in for the Stafford 1/2 Marathon in March and also the Alsager 5 miles in February. Unfortunately work worries are interfering with training. Hopefully I can get back to proper training after next week. I should be doing 25 - 35 miles a week! Comments: No excuses. I really just could not be bothered. Comments: I can't see how I can run any races when I am not training. 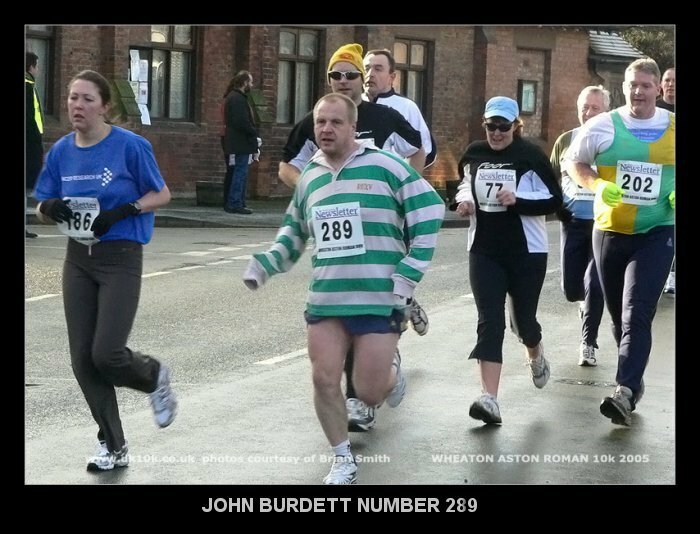 I think I'll try to get my place in the Stafford Half Marathon transferred to 2007. I may give Alsager a miss too! Comments: Well that's it. No training = no ability to run the half marathon. I will leave it until next year and see if I can train towards 2007's half marathon. SERIES OF TRAINING SESSIONS COME TO AN END! OK. So I've missed the half marathon for 2006. Time to take a deep breath and begin again....if I can. If I am going to undertake a minimum 35 week training session then I MUST commence training from 1st July 2006. Ummmm I wonder if I can actually get my head together an DO IT THIS TIME!